Germany is relocating entire villages. Image courtesy of Krusnohorsk. Germany, traditionally seen as one of the leaders in fighting CO2 emissions as it tries to wean itself from fossil fuels and nuclear power, seems to have grown tired of leading by example and it is about to erase entire towns of its map because they are sitting on vast coal deposits. The tiny village of Atterwasch, near the Polish border, is one of them. BBC News reports that Swedish energy company Vattenfall is planning to relocate the community in order to strip-mine the ground underneath for lignite, or "brown coal," considered the dirtiest form of the fossil fuel, which is mined in open cast pits. 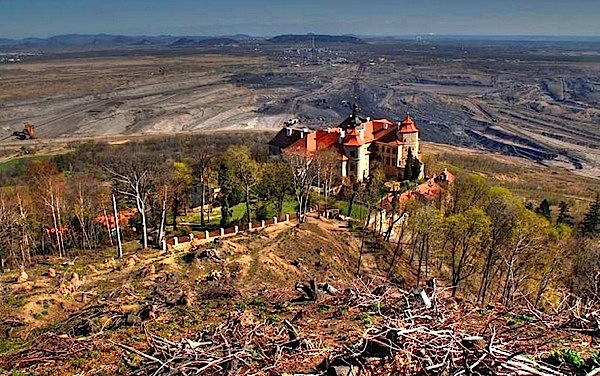 According to experts quoted by the BBC, the rural Lausitz region, home to pine forests, farm fields, and villages, also holds billions of tons of brown coal. There, in what was once East Germany, hundred of small towns have been destroyed to make way for massive strip mines since 1934. And while Germany has said it is committed to its "Energiewende," or energy revolution, with about 25% of its electricity currently coming from renewable sources, the sudden hunger for coal is threatening the future of several villages like Atterwasch. 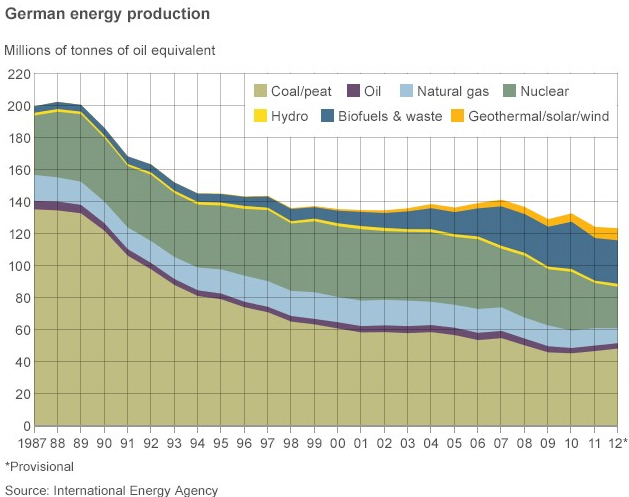 Coal use in the country hit is highest level since 1990 last year, industry figures show. Brown coal accounted for electricity to the tune of 162 billion kilowatt hours, equivalent to about 25% of Germany's total electricity production of 629 billion kilowatt hours in 2013.